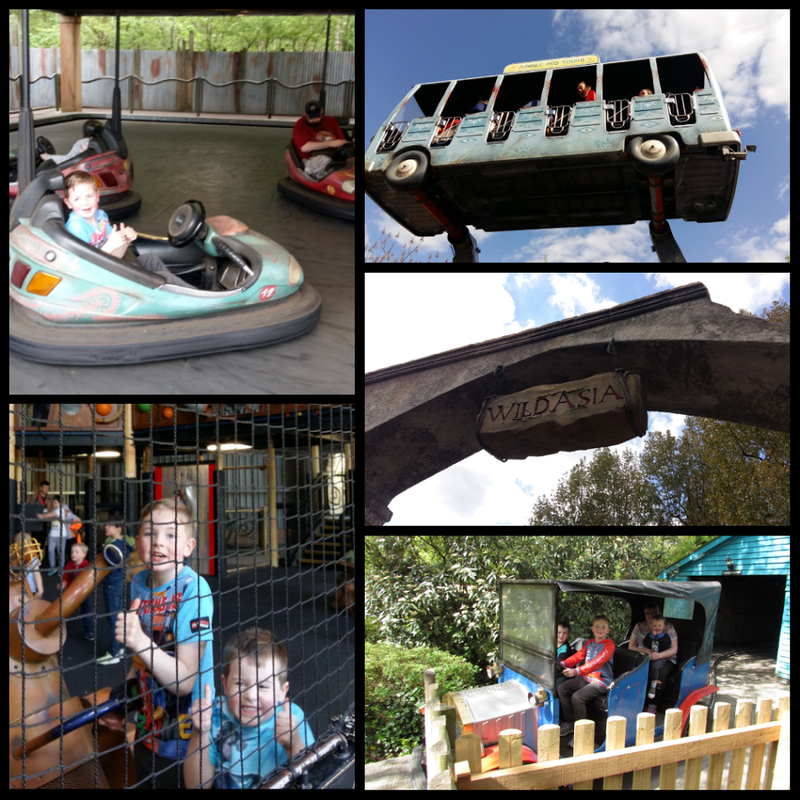 CherrySue, Doin' the Do: The ULTIMATE list of Chessington Tips! Heathrow is the closest airport as it is 27 miles away from Chessington however flights to Heathrow can be quite expensive so it might be worth your while checking out flight prices to the other 4 major London airports through a price comparison site like Skyscanner. You can hire a car at any of the airports or use public transport to get to central London. I’ve a handy guide HERE to help you choose which is best for you, depending on your budget. South West trains leave Waterloo Station every 20 minutes to Chessington South with a journey time of about 35 minutes. 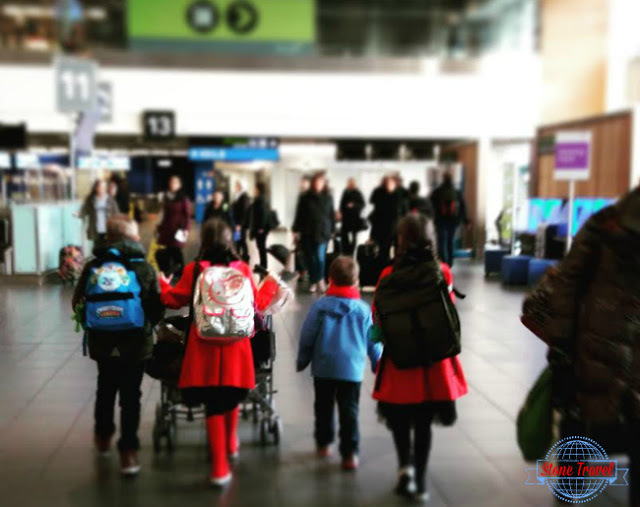 A return day trip costs £13.90/€15.68 per adult, £6.95/€7.84 per child aged 5-15 and free travel for children under 5 years of age. From Chessington South Station it’s a 10 minute walk or you could hop on the number 65 or 71 bus to bring you 2 stops to Chessington World of Adventures Resort. If you’re not staying in central London and want to be near Chessington you can do like we did and stay in Travelodge Epsom Central KT19 8EU. We paid just £50/€56.39 for 2 adults and 2 children room only. There’s a Co-op directly opposite that’s a great for picking up breakfast on a budget. I got fresh fruit salad, juice, muffins and coffee for just £13/€14.66 that fed the whole family. The hotel was spotless and was a great budget option for us. There are numerous restaurants in the area for dinner but if you want to save a few pounds you can get a takeaway and have it in your hotel room. We had our Mammy Van with us so we drove the 3½ miles to the theme park or you could get a taxi for about £14/€15.79. There are other budget hotels in the area such as Holiday Inn Express – Epsom Downs or Premier Inn Chessington. Like every other holiday I spent a while researching as I was bringing 5 children. I’m always trying to find the cheapest and easiest way possible to travel. It’s worth spending some time planning rather than wasting a lot of money on gate prices. If we paid at the gate we would have had to join the huge queue and pay £38/€42.86 per person at the family rate (groups of 2 or more) a total of £228/€257.14 for our family of 7. Under 3’s are free. There are a few options for tickets and offers available online directly with Chessington some even include a meal, a fast track pass for 1 ride and £5 spending money for £44/€49.62 per person with a requirement of a minimum purchase of 2 tickets. The further in advance you book the better deal you can get, ticket prices start at £28/€31.58 per adult/child when booked more than 5 days in advance. If you book online you can avoid the main queue and head straight to the turnstiles where you can scan the barcode from your mobile or your pre-printed tickets. You can also book a second day online from just £7/€7.89 extra per person. Over the last couple of years Kellogg’s have great ‘Grown-Ups/Mates Go Free’ offers on promotional boxes of cereal and cereal bars. Did you know that printed on the inside of the cereal boxes is a code that you can use online to pre-book your tickets to a whole host of Irish and UK attractions? This means that you can skip the huge queue at the main gate and head directly to the turnstiles with your pre-printed tickets. If you are using the voucher cut out from the box or cereal bar packet you must join the main queue. Stone Travel Paying it Forward Tip: If you use your Kellogg’s voucher to book online your physical voucher is still valid so when we went to Legoland & Chessington we brought a bundle to let the little ones give out to other queuing families. Gave them the boost of doing a good deed & helped other families while we were at it. It's win/win. You’ll find a free ticket voucher on selected promotional packets of Cadbury’s, this entitles you to a free ticket when you pay full gate price for an adult at over 20 top UK attractions. You’ll need to cut it out and bring it to the resort. Unfortunately you have to queue in the main queue using this voucher. Don’t be afraid to mix it up like we did. Unfortunately Chessington is no longer a boost partner with Tesco, I called to ask will they be using them again but they didn’t know so double check before you pay full price. I used 4 Tesco vouchers costing €42 from my Tesco points balance so it didn’t cost me anything really as I earn these points every time I pay my electricity and mobile phone bill, I don’t do my grocery shop with Tesco. I also pre-booked online with Merlin using a Kellogg’s Mates Go Free voucher code costing £45/€50.75 for 1 adult and 1 child admission. That’s all I paid for 2 adults and 5 children, just over €50 as our youngest is under 3 years old he went free! · Avoid the enormous queues by pre-booking online either directly with Chessington or with merlinfun.com using a Kellogg’s voucher code from cereal packets as outlined above. · Arrive early, gates open at 10am but there will be queues no matter what time of year you go so plan to arrive early to be at the top of the queue. By doing this we got to go straight into Hocus Pocus Hall and then on to Rattlesnake with no queuing time. · If you’re driving I highly recommend parking in the priority parking lot using the Lodge Gate entrance for a number of reasons. You don’t have to join the huge line of traffic to get to the main car park that’s mainly on grass. You’ll be able to park right beside the entrance on tarmac making pushing a buggy easier and it is right beside the exit at the end of the day, cutting out a lot of queuing time to leave the car park. · Main car park costs £3/€3.38 priority costs £10/€11.28. You can pay for priority parking online before you go or with cash on the day as you enter the car park. · You can return to your car at any time of the day so if you don’t fancy carrying around a picnic or coats you can leave them in the car or you can hire out lockers for the day at Adventure Point, Land of the Dragons and Wild Woods. · Check the weather forecast, when it’s raining they close a lot of rides but once the rain clears they re-open rides. If you book online in advance and it rains continually for more than 1 hour you can return another day free of charge. · There are 20 places to buy food and drink dotted around the park so if you want say a coffee and there’s a large queue you’ll come across another place quite close. 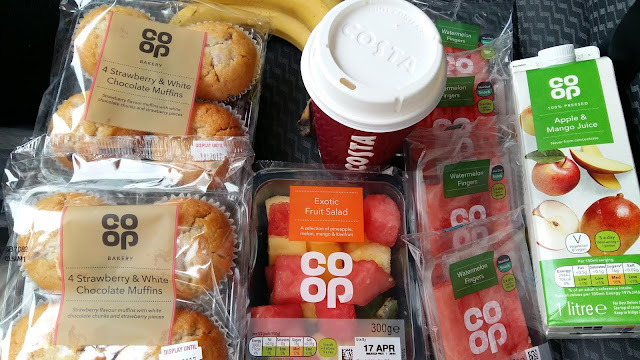 · Bring a picnic including drinks, we went to Tesco Express KT9 1EL an 8 minute drive from Chessington and stocked up on their meal deals consisting of a sandwich/salad, crisps & a drink for just £3/€3.38 each. I supplemented this with snacks and extra drinks. I packed Gruffalo party bags that I’d pre-filled with snacks at home. · If you bring a picnic eat it on the go while queuing for rides or during one of the shows so you can squeeze in another ride or two! There are some picnic areas around the park too if you want to sit down for a break. · Download the free app before you go so you can see queue times in real time on your mobile and see what ‘on the day offers’ they have while you’re there. · Register for The Cloud WiFi app before you go so your phone will automatically connect to free WiFi when you arrive at Chessington, search for Chessington Official in the App Store or on Google Play. 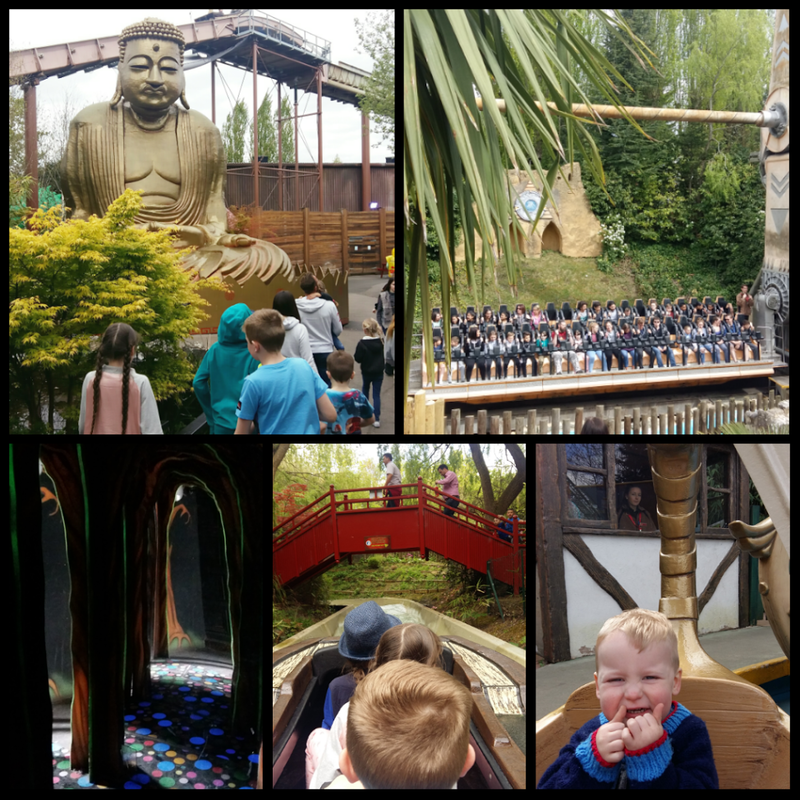 · Let your children see the Chessington website before you go so you can make a list of the rides you’d like to go on, by doing this we managed to go on all the rides we had chosen. But be realistic you’re never going to be able to do all the rides in one day so prioritise those you want to go on. · Check your child’s height before you go so you know what rides are suitable. We saw people getting turned away after queuing for an hour at one ride as they didn’t check before they joined the queue. · Use the single rider line at Dragon’s Fury, we saved over an hour in queuing time and managed to sit together anyway. · DigiPasses are available online in advance for £24/€27.07 you can access all of your photos from your visit online, at the gate price is £30/€33.83 with a second day costing an additional £10/€11.28. 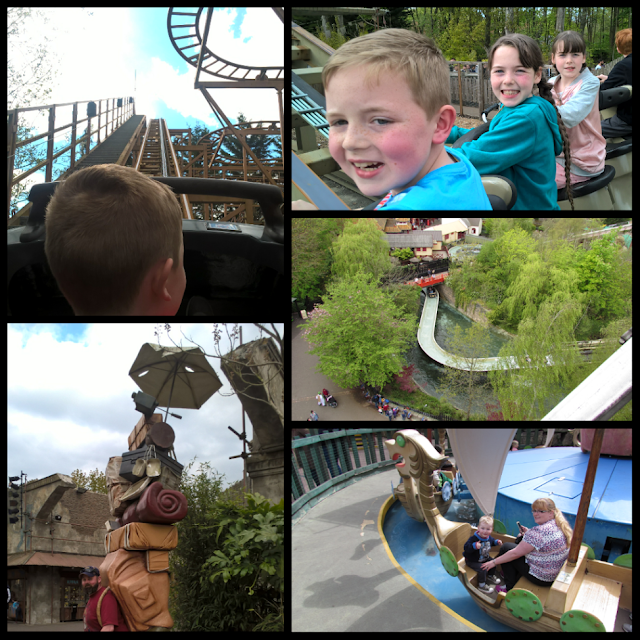 · We visited on a Thursday during school holidays so the park was very busy but we didn’t need to buy Fastrack passes to get to do all the rides we wanted as I kept checking the queue times on the app. Fastrack passes can be bought online in advance or on the day ranging in price depending on the ride from £3/€3.38 per ride to all rides priced at £70/€78.95 per person per day. 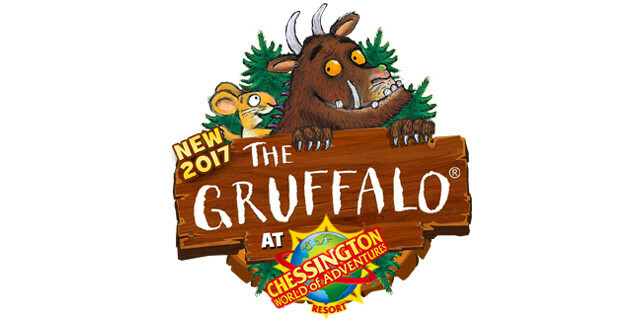 · There’s a whole host of new VIP Experiences and meet and greets available to book online or on the day such as Gruffalo breakfast for £20/€22.56 per child & £25/€28.20 per adult or Giraffe feeding from £15/€16.92 per person. · If you’ve younger children bring a buggy so they can rest as it’s a large park with 10 themed lands, a Zoo and SeaLife centre. You can also hire a buggy at the Adventure Point gift shop priced at £8/€9.02 for a single buggy or £10/€11.28 for a double. 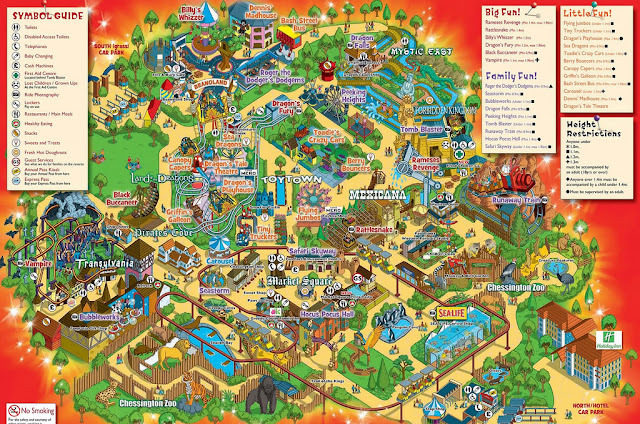 · Some of the rides operate a Parent Swap facility; go to Guest Help in Adventure Point to pick up a Parent Swap pass. · There are ATM’s and mobile phone charging points dotted about the park. · Closing time is usually 5pm or 6pm during peak season; this is the time the queue for the rides close not the actual park so you can squeeze in another ride if you make it onto the end of a queue just before closing time. · Set a budget for each child and let them know before you enter the shops as there’s a shop in every section of the park. 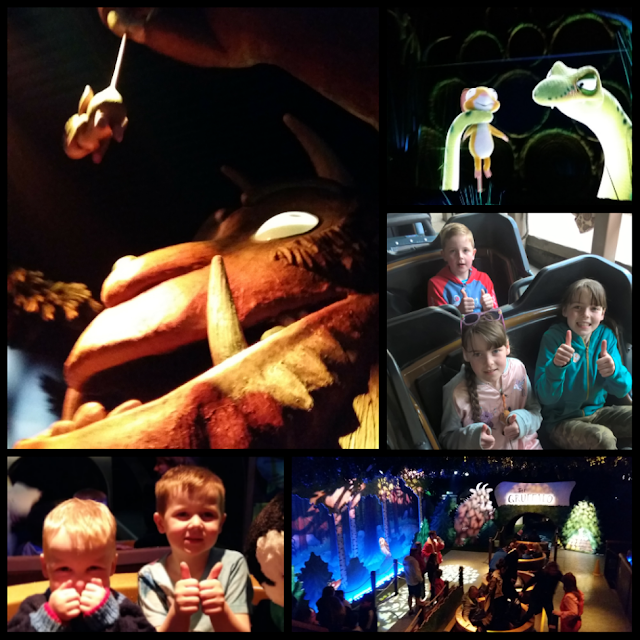 · If you’ve a child that loves the Gruffalo be prepared for the shop at the end of the Gruffalo ride as it’s quite expensive but they do have a couple of pocket money things like erasers and key rings. · I brought some Gruffalo merchandise with us that I had bought before our visit. One little bag in particular I paid €1.49 for in Mr Price was on sale in Chessington for £7.99. 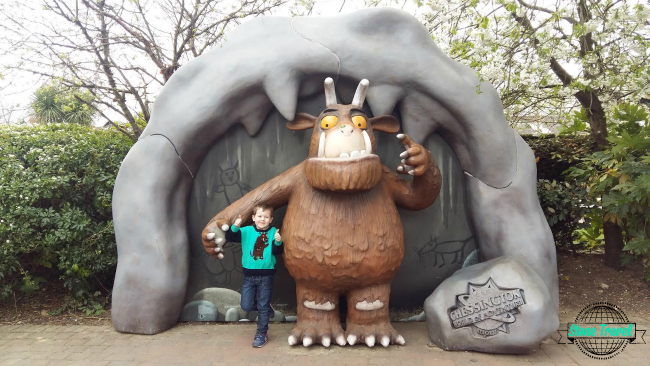 · My 5 year old was thrilled with himself when he saw I’d packed his Gruffalo jumper and t-shirt to wear and Gruffalo pj’s for when we got back to the hotel as I’d bought them on Amazon before we went. 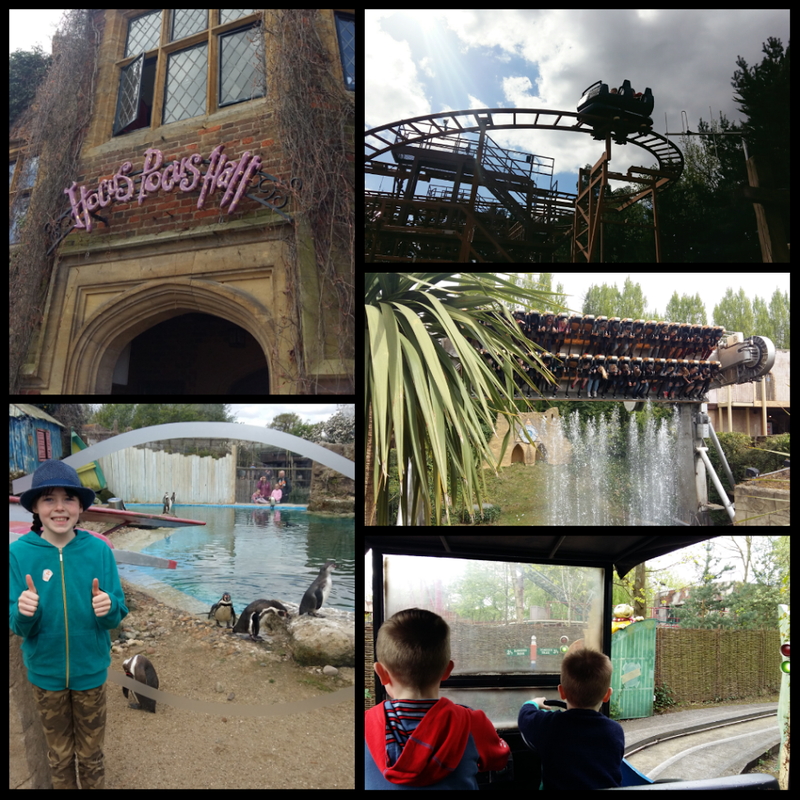 We spent just one day at Chessington and we managed to fit in 15 rides which was all of the rides we really wanted to do even with the large queues, however we didn’t go to SeaLife or the Zoo, as we had recently visited SeaLife in Manchester and been to Dublin Zoo. If you want to visit these you might need a second day or consider buying Fastrack passes for the rides with the larger queues on the day you visit. Hopefully using these tips will save you not only money but time and stress too! Have you been to Chessington World of Adventures? Have you any top tips of your own you’d like to share?